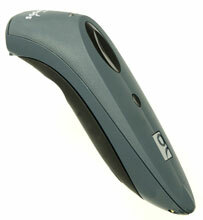 Socket CHS 7Ci - 1D Linear Imager, Cordless, Vibrate. Cradle not included (Part# AC4054-1381). Color: Gray. Works with Apple iOS (iPad, iPhone, iPod) and Android. I tried this item as well as the MS-910 - I liked this MUCH better - the range was better as well as the feel. The MS-910 felt really really flimsy definitely not for the workplace. The only downside to this product was that it felt a tiny bit flimsy - but I still gave it 5 stars because everything else worked perfectly. Just saying if your using this in a warehouse get the rubber coated version of this - its a little more expensive but worth it in the long run. 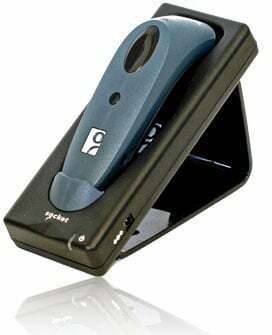 We use this scanner for scanning barcodes on equipment. Its scans quickly and easily. Uploading is simple and quick. We are very pleased with this scanner. To date Reyes Holdings has purchased hundreds of the CHS 7Ci sockets for our iOrder application. A huge step forward using this product from Barcodes Inc. over other solutions on the market Reyes Beverage Group has tested. Great Product to add if you're thinking about it! We are extremely happywith this scanner! We have purchased approximately 15 of these scanners. Auditors use to scan UPC barcodes for category audits. This scanner is so easy to use. It has had no downtime and holds a charge for the entire workday. We used this product now for two separate customers. One for inventory and one customer used it for customer folder / information location. Really nice and ergonomic with great range. It's not a high speed scanner but it gets the job done and love the no wires option. We use this product daily to inventory scientific experiments (plants), track phenotypic variances, and create harvest tags. Using this product in conjunction with the iPad or Bluetooth laptop, we can set scan an entire greenhouse with all data streaming directly to the database. Furthermore, our other programs in research (chemistry) are now using this scanner as it will read damaged or smudged barcodes. With the success of this scanner, our next purchase will be the 2d scanner. Our organization will be purchasing hundreds more of these sockets. Perfect solution for our application. The Socket CX2870-1409 is also known as SOC-CX2870-1409	or CX28701409	.